Registrations for 2019 are now closed. Welcome to our Mystery Quilt starting on February 2nd 2019. For details about how the Mystery Quilt works please click here. 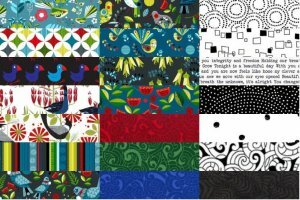 We are embarking on a really new Mystery Adventure this year, with all new shapes and quilt sizes. 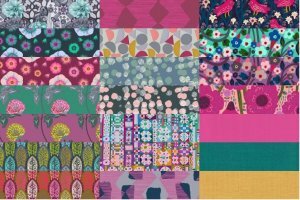 To celebrate some of our favourite fabric designers we will be featuring brand new fabrics and collections through the year. New generous sizes - if in doubt measure your mattress and allow for your desired overhang. Twin 54" x 72" - a perfect size for a single mattress. Queen 85" x 88" - not just a mattress topper, but allows for overhang at the sides and bottom of the bed. King 103" x 104" - many of our customers like to make a King size - this time it will not just be a case of adding lots of borders! 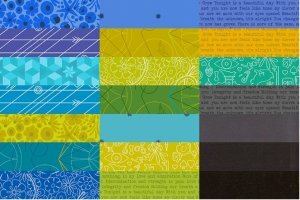 As a change from previous Mysteries, we will have lots of different fabrics in each quilt, we can't show you all of the fabrics yet as some are not even on the market yet, but rest assured we have planned the colours and the pictures below give a good indication of what we have planned for each quilt. Alison uses beautiful saturated colours which glow against the greys. Anna Maria Horner is a wonderful artist and she has collaborated with two amazing partners on this 'Conservatory' range in vibrant colours. Modern designs in subtle colours. A fantastyland of fairies, unicorns, woodland and plants. We love Edyta's soft colours and modern take on reproduction fabrics. Look for florals and traditional patterns in lovely colours with cream and caramel neutrals. 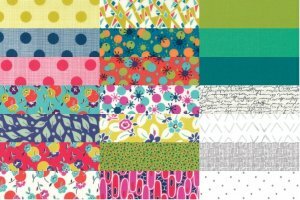 Based in Wellington, Ellen designs the new kiwiana fabrics that feature bright colours. Paired with black-and-white prints and set against a black background. 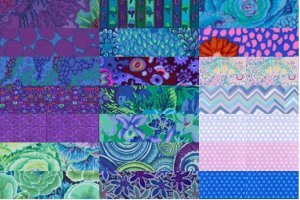 This will be a quilt with a lot of 'zing'! 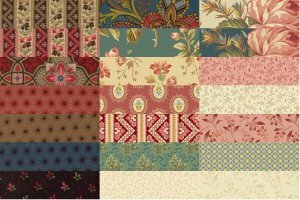 Jen's patterns have been really popular this year. She loves to combine bright florals and abstract prints in almost a thirties style with 'low volume' prints. The master of colour - we are focusing on my favourite colourway, his beautiful blues, toning into purples, lilacs and greens. Spots,florals and geometric / abstract prints abound. So popular among quilters of all ages. 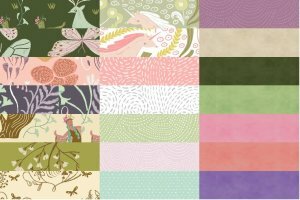 Tula Pink draws fantasy versions of animals and combines them with incredible colour and texture. 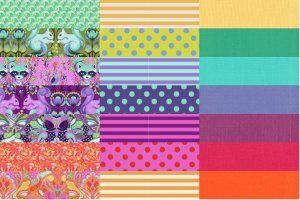 A rainbow of rich colour with little surprises to be spotted among the prints! Classic design style from the days of the Arts and Crafts movement. 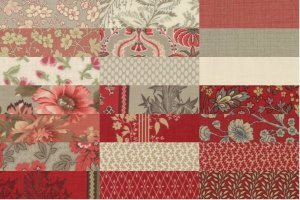 Symmetrical designs, flourishes, the classic Strawberry Thief and florals. 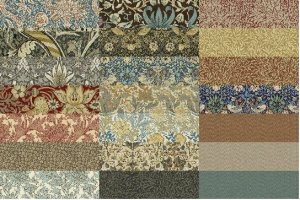 Morris and Co. is a new company interpreting these traditional design in subtle tones. We hope you love the colours! Now all you have to do is pick a size and complete the registration form. We will then process all of the registrations and will get back to you to confirm your choice.
. If you have any problems please contact us by email at shop@quilterslane.co.nz or 063709400. Thanks for your interest in this year's Mystery.